Life ain't been no crystal stair for Robin Thicke in recent years. He's gone through it, but he's bouncing back from all of his personal and professional turmoil that has had his career in flux. 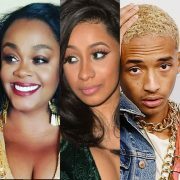 He stopped by Steve Harvey's daytime talk show Steve to talk about his reflections on life changes and perform his current single "That's What Love Can Do." 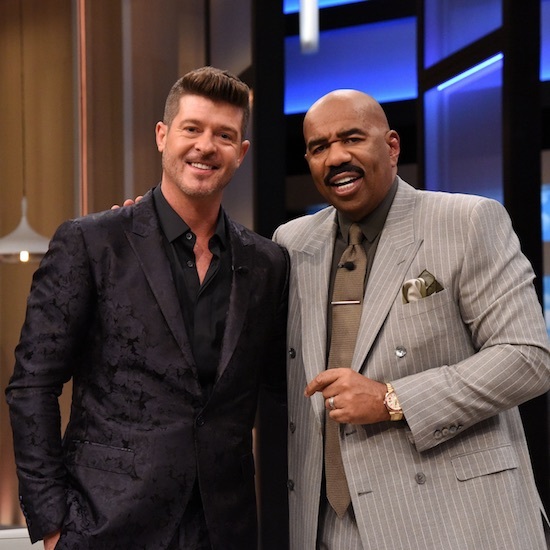 Harvey welcomed Thicke to his stage and the artist was suited, booted and immaculately groomed to match Steve's fresh. The pair sat down to catch up like the old friends they are and had an easy conversation about some uneasy subject matter. Robin touched on his house burning down in last year's Woolsey Fire in California, but he counted it all joy because his family survived as has grown. 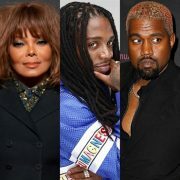 He beamed when he talked about his children and fiancee April Love Geary who recently gave birth to their second daughter together. He also briefly spoke about his father Alan Thicke who transitioned in 2016. 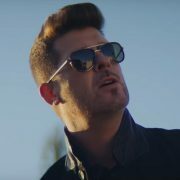 Despite all the troubles he's seen that would have broken many, Robin Thicke has pushed through and is still here. 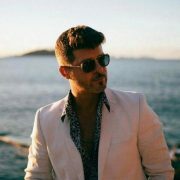 Thicke soon took center stage to perform his song "That's What Love Can Do," which had added meaning after his insightful interview. Sitting at a grand piano and back by a full band, Robin sang his heart out in his first television performance in three years. He sounded like his old self on the loving ballad and seemed to be genuinely having fun doing what he loves.